Chicago's O'Hare International Airport (ORD) is pretty well stocked for a long layover (it's the least they can do given their less-than-stellar reputation for delayed flights in and out). They have shopping, food, public art installations, a hotel with a gym, two spas, and a in Terminal 3. But unless you want to spend your few hours camping out by a power outlet while attempting to watch one Netflix episode with your 20-minutes of free WiFi (it's $6.95 for 24 hours thereafter), there's a whole city outside to explore. Lose Your Baggage: Unfortunately there is no official baggage storage in the airport itself, but we hear that you can talk to the bell hop at the (accessible via underground walkways from Terminals 1, 2, and 3) and they'll check it for you for the day. A safer bet might be heading downtown to where they have large and jumbo . Consider Your Timing: If traveling internationally, factor TSA and customs lines into your itinerary. You'll want to clear at least three to four hours of hangout time for any of these expeditions. 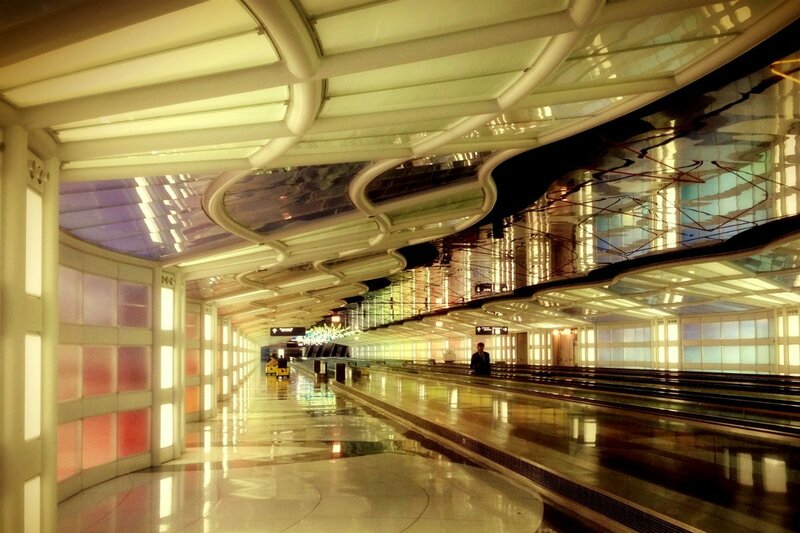 Get Out of O'Hare: Outside of peak hours, you can get downtown on a half-an-hour cab ride for $45. Or you can take from Terminal 2 which will get you downtown just under an hour. A single-ride Ventra ticket from the airport is $5 and $3 back, but if you plan to get around the city on public transport, you can buy a one-day pass for $10. The Bean and Jay Pritzker Pavilion in Millennium Park. Photo courtesy of City of Chicago. Head to: The in the heart of downtown is a local favorite and right by the massive . The museum has an impressive permanent collection and great exhibitions, the modern wing is gorgeous, and the shop has terrific souvenirs. Take in skyline and park views over an Italian meal at the museum's restaurant. If you want to venture out, the Art Institute checks small bags for a dollar regardless of whether you're going into the museum or not. Get your obligatory photo with the Bean, Anish Kapoor's famous Cloud Gate sculpture, across the street. At the park, there are seasonal activities by the Jay Pritzker Pavilion, maybe catch a free concert or cool off by Crown Fountain. And if you're sick of your in-flight movie selection, catch an indie film at nearby . Transport: Get off at Monroe station on the blue line and head east three blocks. If you're dropping your bag off at Union Station, alight at the Clinton-Blue stop and then take a 15-minute bus ride (1, 28, 7, or 126) to the Jackson & Wabash stop. Travel time to and from destination: 50 minutes each way, add an additional 20 minutes if you're stopping by Union Station. Want more travel intel like this? Get our expert guide to becoming a better travel when you . Learn about architecture along the Chicago River. Photo courtesy of Cruise Chicago. Head to: the Chicago River. Line up at the docks for an where you'll learn about the Windy City's most iconic buildings on a one-and-a-half-hour boat ride. Tours are offered daily from spring through fall, and you can get tickets at the dock itself, at the CAF shop and tour center, or . Alternatively, there's the massive Lake Michigan and the 18-mile that makes for a great place to people-watch and stretch your legs post-flight. It's less crowded earlier in the day, and bikes are available for rent at different locations in and around the park. 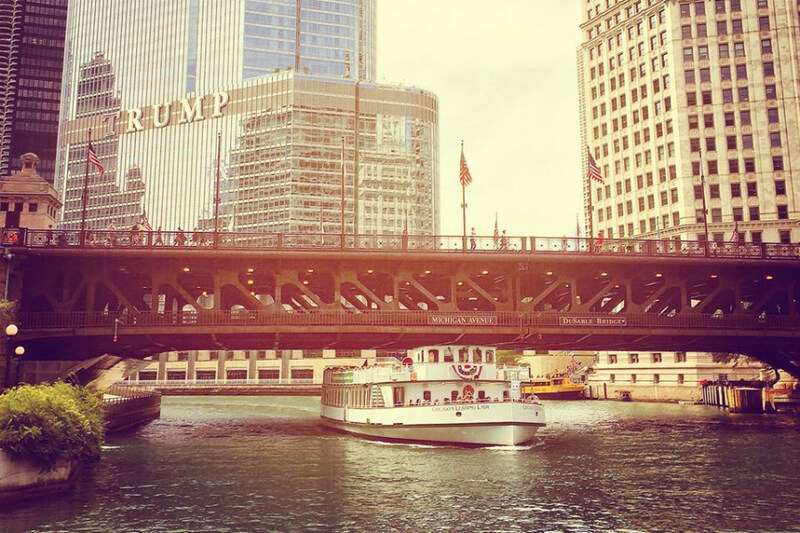 Transport: For the boat tour, alight at the Clark/Lake stop and walk ten minutes east along the river until you reach the First Lady dock on the southeast corner of Michigan Avenue Bridge at Wacker Drive. Take 124, 151, 157 to the Michigan (Lower) & E. Wacker stop if you're stopping by Union Station. If you're looking for the Lakefront Trail, get off at Monroe station and walk fifteen minutes east until you hit water. Travel time to and from destination: An hour each way. Plus 20 minutes if you're stopping by Union Station. 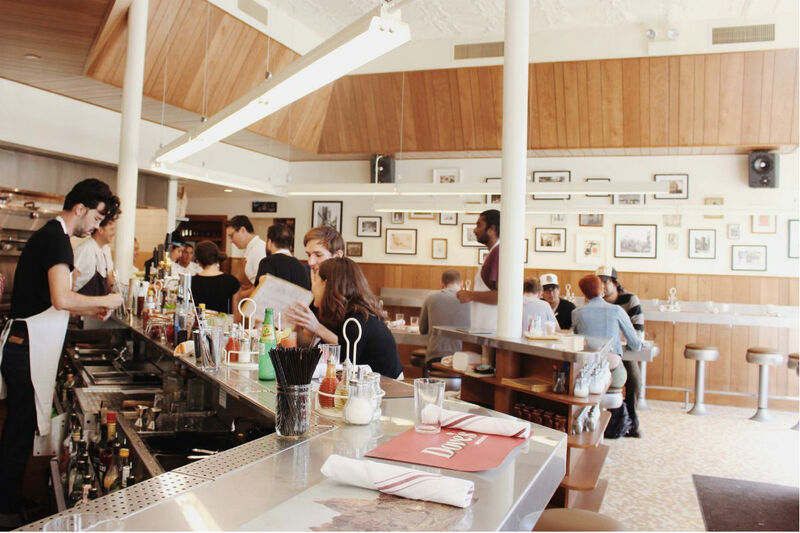 Dove's Luncheonette. Photo courtesy of Big Star. Head to: The Wicker Park and Bucktown neighborhoods are a bits away from the downtown loop, but also closer to the airport and where locals hang. Line up at the classic for honky-tonk music, tacos, and good whiskey. next door does Southern twists on classic Mexican fare, and has a nice tequila and mezcal selection. is further south; drop by for house granola or huevos rancheros. On the rare occasion where you have extra space in your carry-on, take a walk around the 'hood and shop some of the city's best boutiques. Duck into the long-standing indie bookstore for design-junkie 'zines. Pick up cute stationery at , make friends with record hunters at , and buy home non-kitschy souvenirs at . Before heading back to the airport, do a quick ramen stop at or go for a Korean/Puerto Rican meal for less than $10 at in Bucktown. You'll board your next flight fully sated and drift off into a blissful food coma for the rest of the journey. Transport: Alight at the Damen-O'Hare station on the blue line, and you'll find Big Star down the block. Belly Shack is one station north at the Western-O'Hare stop. Travel time to and from destination: 30 minutes each way. Bookmark this kid-friendly itinerary, check into one of these stylish and affordable hotels, and discover the city's best restaurants, shops, and nightlife.